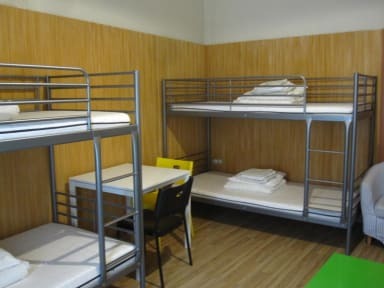 Mandarin Hostel Budapest i Budapest, Ungern : Boka nu! Nothing to complain about! 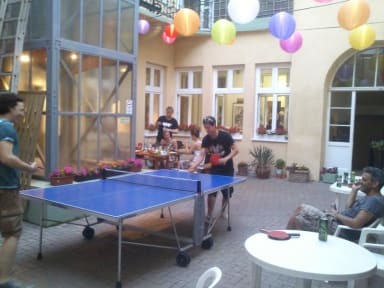 Nice straff and a cozy garden and also you could play ping pong and foosball! Not at all a partyhostel as some of the reviews stated, but very nice and quiet. Brilliant hostel, nice kitchen and playing area, nice location, quiet but not dead. Great value for the small amound of money! Recommended! Not very clean and the wifi didn't work but really cheap and cosy!